Hey, it’s July! Bask in the summer heat with some hot video game news! Good times, good times. – The classic Atari series Battlezone is getting rebooted by Rebellion for the PC and Playstation 4, according to International Business Times. – Nintendo fans are pissed about the early videos and screenshots from Metroid Prime: Federation Force. It’s supposed to be a multiplayer-focused game on the Nintendo 3DS, which basically means it doesn’t sound like a Metroid game at all. Forbes.com has an article on the controversy. Wired has an interview with the man behind the game, Kensuke Tanabe. – Speaking of the Big N, their next console could hit stores in July 2016, according to Digitimes. – The developer of Mario Strikers pitched Nintendo a volleyball and wrestling game, according to Gamespot. It didn’t get picked up. – From Siliconera, a fan is doing a new indie version of the Mega Man series, Mega Man X: Corrupted. Read more here. – The Sporting News is doing a best sports video game bracket. They’re down to the final, NBA Jam vs. NHL 94, which might be familiar to Your Parents Basement listeners. Check out our NBA Jam show here, and the NHL series here. 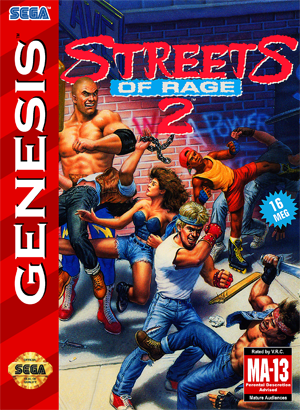 – Pretty much zero games of significance were released in the United States. This is probably because it’s the middle of summer, and on top of that, two days before a major holiday. Even in Japan, this is a traditionally light release day. The only one I ever really played? 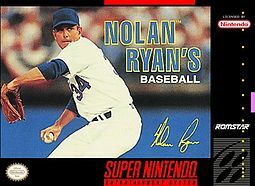 Nolan Ryan’s Baseball, one of the early SNES sports games from 1991 and 1992, and it isn’t anything impressive. – July 2 does have one big event from a gaming history standpoint though. Warner sold its home computing and game console divisions, which included a company named Atari, to Jack Tramiel, in 1984. This was after the video game crash of 1983, so Atari wasn’t in great shape, and Tramiel had a spotty reputation in the gaming industry as the former owner of Commodore. Atari and everyone else was run over by the NES juggernaut after the industry recovered from the crash. For more, check out Wikipedia. Video game history information comes from GameFAQs and Moby Games.